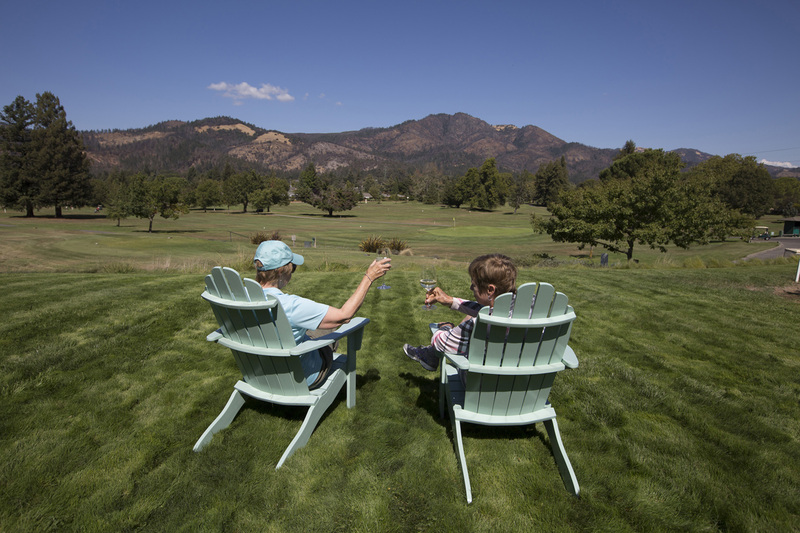 Dorothy Webster and Karen Gilbert relax in their backyard that opens out into the Oakmont Village Golf Course they live next door to. Dorothy and Karen have rented their single family home for almost two years before they decide to buy in Oakmont Village. Santa Rosa, California.